Wouldn’t you love to see the reactions you get after telling people you got married in a barn? They might not understand at first that it wasn’t just any barn. The Barn at Kill Creek Farm has a very rich history. Originally constructed in the 1880’s (and rebuilt after a tornado in the 2000s), its mortise and tennon construction features craftsmanship at its best. The facility has since been updated with an air-conditioned full kitchen, meeting room and indoor restrooms. But the original charm and character still abounds with wood beams, sliding barn doors and a hay loft. 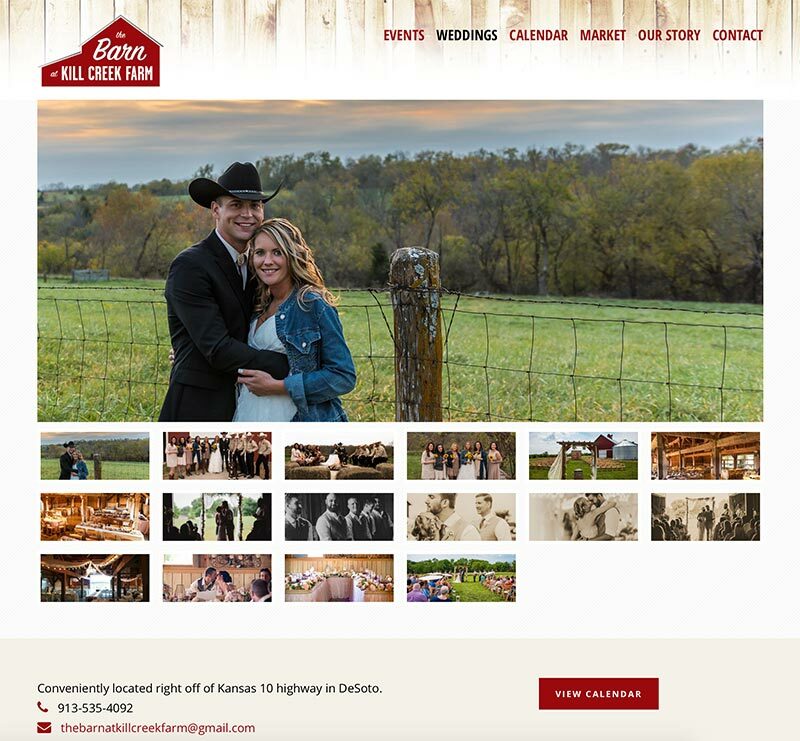 The Barn at Kill Creek Farm is not only perfect for your wedding, family reunion or corporate event, it is also the home of the De Soto, Kansas Farmer’s Market! 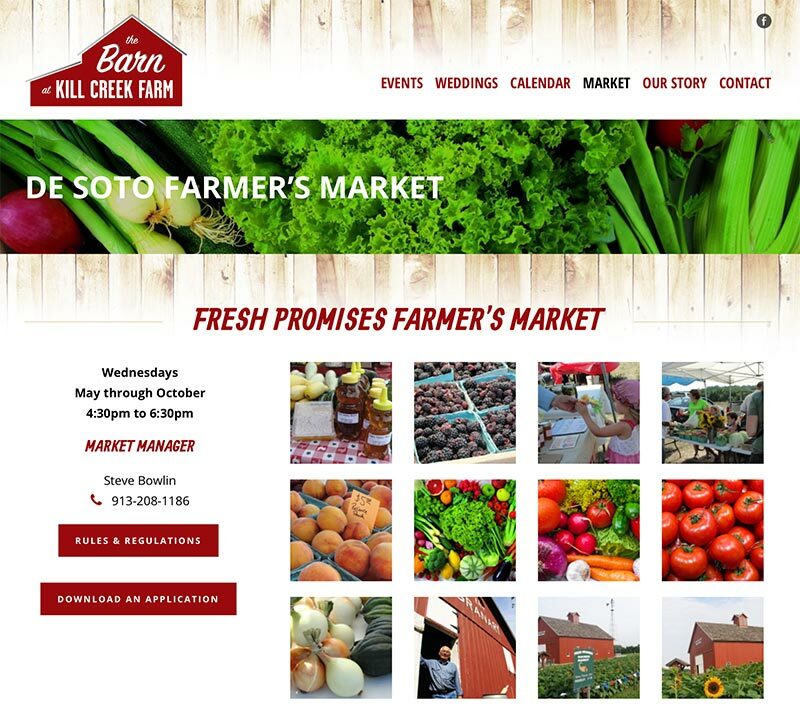 The website uses a Google calendar for easy scheduling and has an online gallery. 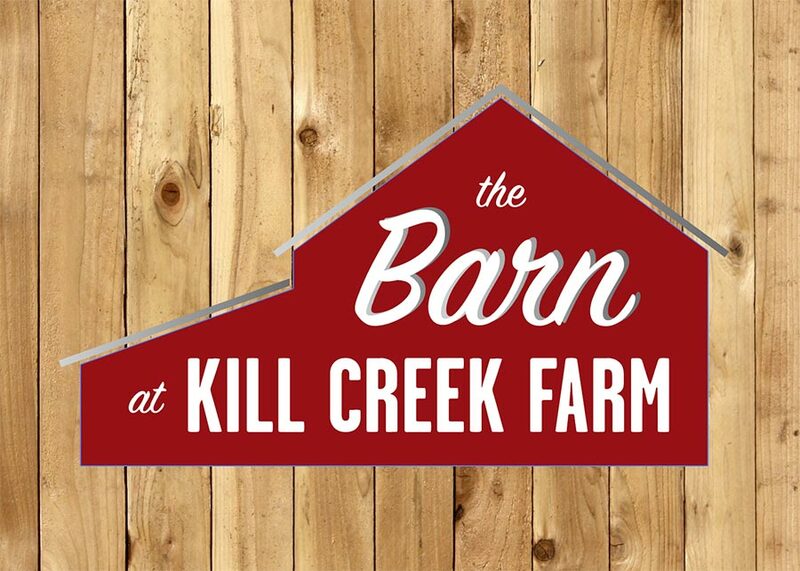 Pixel Lunch also re-designed the logo for the Barn at Kill Creek Farm.